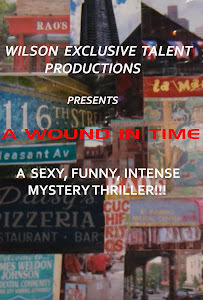 It's been a while but I've been busy working on my stage productions until I can save enough to WRAP "A Wound in Time". We need two to three weekends to complete the production phase and 10K. I will move forward at that time. Yes, I've been contacted by distributors in Los Angeles and Germany who have been awaiting a screener. We'll have something special to show them thanks to the wonderful talent and crew! Stay tuned.